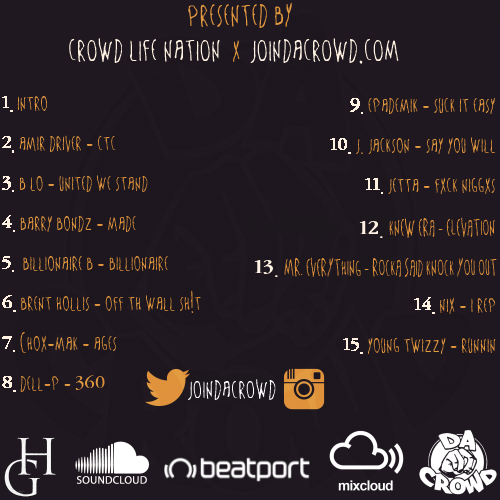 JoinDaCrowd Audio Vol. 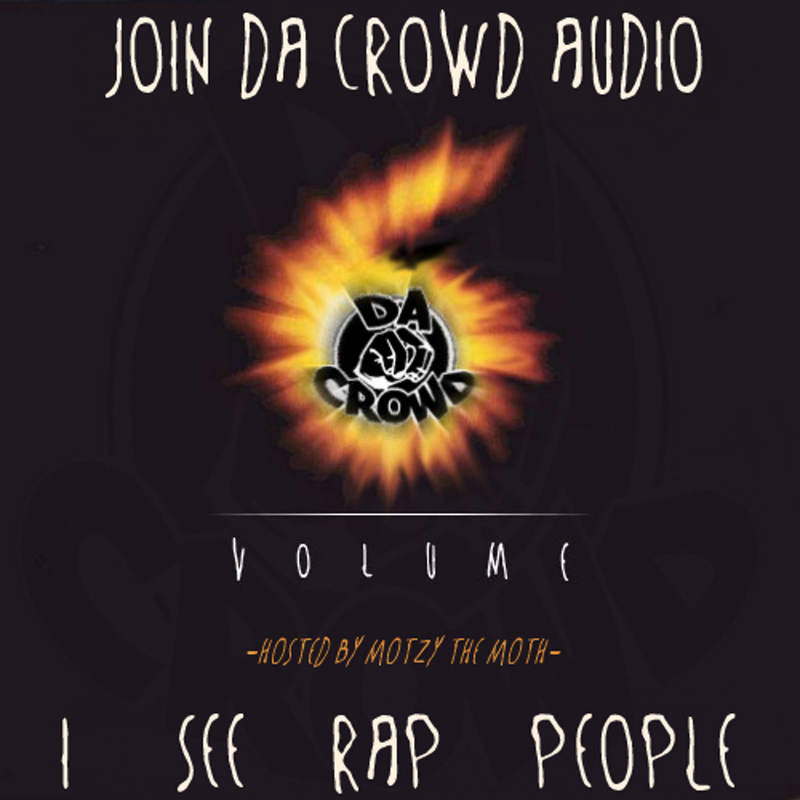 6 - "I See Rap People"
Here It Is! The 6th installment to the Join Da Crowd Audio series. Hosted by Joseph Motzy Click and featuring Amir Driver, Brandon B-Lo Flowers, Barry Bondz McRimmon, Billi Bryant, Brent Hollis, Jay Choxmak Wiggins, Dell Peezie, Epademik, Iam J Jackson Kellum, Jetta Maxwell, Rocka MrEverything, Knew Era, Nikki 'Nix' McKnight & Young Twizzy. Mixed at The Nest Recording Studio with art direction by Hector Cruz inspired by the movie, 'The Sixth Sense" with the intro being wrote as a rap version of the movie's trailer. 15 tracks of pure raw hip-hop/rap from all over the country. Enjoy! Crowd Life!